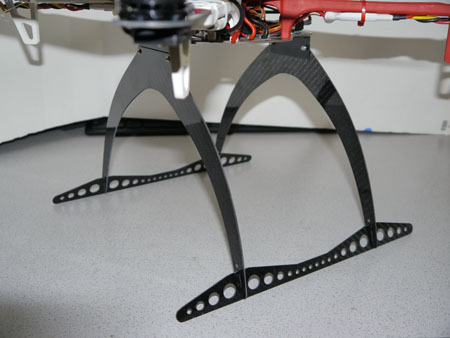 Tall landing gear for the DJI F450 and more! Mount this landing gear to your F450 without modification. It will increase the ground clearance to 200mm. Also works with the PhantoMounts X2 Gimbal line. You can also mount a DJI Zenmuse H3-2D or many other gimbals. 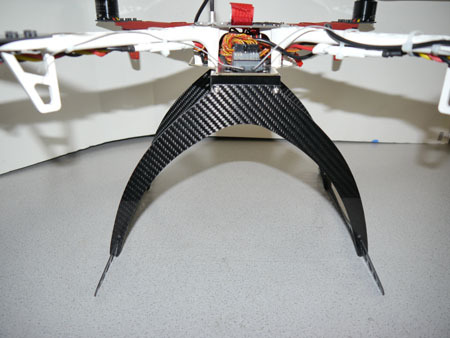 The landing gear and Zenmuse mounting plate is made out of 1.5mm carbon fiber and lightweight aluminum. CarbonGear Landing Gear also available in a shorter 130mm height.